My Parents Are Getting Old? What Do I Do? What is Diminished Capacity? Joint Legal Custody: What is Joint Legal Custody? Relocation: Who Keeps the Kids When a Parent Moves Out of State? Utah Child Support: How Much Child Support Will I Have To Pay? Do Grandparents Have Visitation Rights in Utah? In the legal field, words like “capacity,” “diminished,” “guardianship,” “conservatorship,” “hearings,” “wills,” “estates,” and “burden” come into play. Here is a brief description of some of these legal concepts. Anyone over the age of 18 has the right to make legal decisions and enter into enforceable contracts. This means that a person over the age of 18 has the capacity to sign contracts, sign a will, create (and sign) a family trust and sign any other legal documents. However, when a person is under the influence of alcohol, the influence of medication or drugs, or has mental deficiencies, they will not have the capacity to sign legal documents. Legally, this is person “lacks capacity” or has “diminished capacity” to sign a contract. If a person signs a contract with diminished capacity, the Court will not find the document legal or enforceable. The Utah case law clarifies that traits associated with the elderly like forgetfulness, physical weakness, and any mental weakness are the natural consequences of aging. 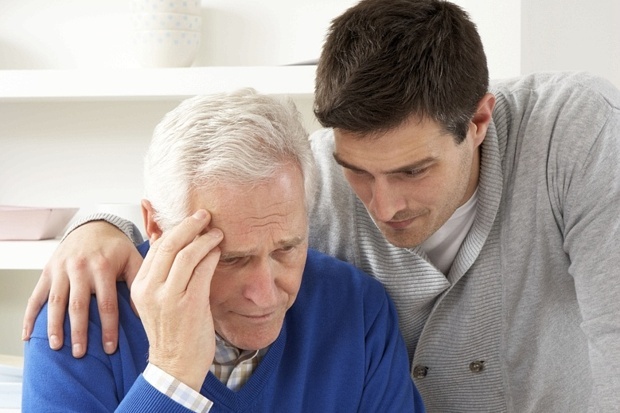 An elderly person who is forgetful will not be legally declared to have diminished capacity. Talk to your loved one about “power of attorney.” A power of attorney, gives a person decision-making power on behalf of the other person, if incapacity occurs. A power of attorney does not need the approval of a judge. If you have any additional questions regarding capacity and/or power of attorney, please call Melanie Cook Law at (385) 777-5940. In Utah, there are two areas of child custody in divorce or paternity actions. The two areas of custody are legal custody and physical custody. This article will focus on joint legal custody. Joint legal custody does not involve the living arrangements of the children. Joint legal custody means that both parents share decision-making power over raising the children. Often these shared decisions involve educational, medical, religious and general welfare choices involving the children. If joint legal custody is in dispute during a lawsuit, the Court will use the Utah Code to help in their legal analysis. According to the Utah Code, joint legal custody is the “sharing of the rights, privileges, duties, and powers of a parent by both parents. See Utah Code Ann. § 30-3-10.1. If you have any additional questions regarding joint legal custody, please call Melanie Cook Law at (385) 777-5940. Relocation. This is a complicated issue that comes up when one parent wants to move out of the State of Utah with the children. Recently this month (December 2015), the Utah Court of Appeals issued a very important ruling on this relocation issue. This case will shape future relocation cases. In Pinegree v. Pinegree, 2015 UT App 302, the Court of Appeals looked at the interpretation on the Utah Relocation State (Utah Code 30-3-37). This case involved a divorced mom and dad, and a child (approximately 7 years old). Both the mom and dad had joint physical custody of their child. Initially, the mother was going through medical school during the divorce. When she finished medical school, she needed to do her residency out of the state of Utah. The mother wanted to move the child out of the state of Utah. The Judge determined that the primary focus of a relocation case must be on the best interests of the child(ren). In the Judge’s analysis, if the relocation is not in the child’s best interest, then the Court has authority to order a change in custody if the custodial parent chooses to relocate out of the state of Utah. In this case, the Judge found that the Mother moving away from Utah would disturb the joint physical custody arrangement and the move would create a disruption, when the child has lived in Salt Lake her whole life. The Judge found that this child has a family in Utah and friends in Utah. The Court ultimately determined that the child had continuity in Utah. So, the Court awarded the dad a conditional change in custody (if the mom elected to move out of the state of Utah. The interesting aspect of this relocation case is that there is not a separate analysis of whether such a change in custody would be in the child’s best interest. Instead, the Court adopts this idea: if it is not in the child’s best interest to relocate, it is in his/her best interest to remain where he/she currently lives. If you have any additional questions regarding relocation, or moving out of the state of Utah, please call Melanie Cook Law at (385) 777-5940. Utah child support can be tricky to calculate, especially if one parent has been a “stay-at-home” parent. Another issue comes up when one parent is self-employed. With a self-employed parent, we must look at all sources of income and spending from the business. Many parents ask about the amount of child support, especially during the divorce process. In a nutshell, both parents must financially support their children. This means that a “stay-at-home” parent will likely be imputed an income at minimum wage (by the Court) for determining the child support amount. In Utah, the child support amount is calculated by using a child support calculator. This calculation is determined by the Utah State Legislature. This means the child support calculation is governed by Utah law. Many attorneys use a child support calculator (offered through ORS). ORS is also known as the Office of Recovery Services. You will need to know the mother and father’s monthly income. Also, you will need to know the number of children that need child support. These two factors will determine the child support payment. A link to the child support calculator is attached below. The process is not always simple to navigate on your own. Please call Melanie Cook, a Bountiful child support attorney who can help you determine the amount of child support will be required in your case. You can estimate your future child support amount. A child support calculator is attached to the link below. You will need to know the gross monthly income of both the father and the mother. You will also need to add the number of children in the calculation. If you have any questions, please contact Melanie Cook at (801) 800-0170 for a free initial consultation. 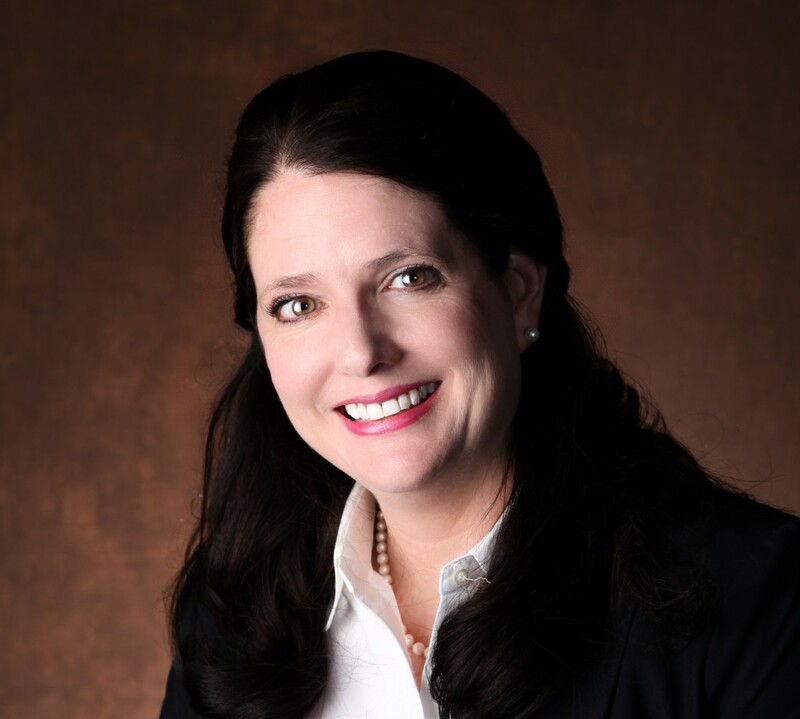 Melanie Cook can help you understand the Utah Child Support Calculator. The Utah Courts website has information about child support. This is helpful information. To read the Utah Courts information, click on the link below. Call Melanie Cook at (385) 777-5940 for a free consultation about your child support questions. Grandparents Rights: this is such a troubling issue in Utah. With the recent Utah Supreme Court Decision (filed September 16, 2015), Grandparents have little recourse to establish visitation with their grandchildren in Utah Courts. See Jones v. Jones, 359 P.3d 603 (Utah 2015). Basically, the Utah Supreme Court is upholding a parent’s fundamental right to make decisions on behalf of their children. The issue becomes difficult when a parent willingly chooses to “cut off” a relationship between a grandparent and a grandchild. This is such a tragic situation, but the Utah Court is holding that a grandparent must establish a “legally sufficient basis for an order of visitation.” However, under this new Court ruling, establishing a legally sufficient basis is nearly impossible for grandparents. This grandparents rights issue really stems from the monumental constitutional case, Troxel v. Granville. In 2000, this United States Supreme Court Troxel case has forever changed the future rights of grandparents. In Troxel, the Court outlined factors that the Court could consider to be relevant in deciding whether grandparents have rebutted the presumption in favor of the parent’s decision regarding grandparent’s visitation. All across the United States, individual state legislatures passed grandparents rights statutes, using Troxel as their guide. Utah passed a Grandparents Visitation statute using the guidelines outline in Troxel. Basically, under this new opinion, a grandparent must present concrete proof of harm resulting from the loss of a substantial relationship with a grandparent, as where the grandparent acted as the grandchild’s custodian or caregiver. If the grandparent cannot prove this statutory factor, the case will be dismissed. While this may seem simple on its face, it is almost impossible to prove that type of substantial harm in the Utah courts. What this means, most grandparents will not prevail in a grandparents rights case as the law stands today in Utah. This needs to change. At Melanie Cook Law, we care about the relationship between grandparents and grandchildren. We are interested in creating a grandparents rights movement in Utah. If you are interesting in participating in a movement for change, please join us and contact this grandparent’s rights attorney, Melanie Cook. How Can I Change My Child Support in Utah? Sometimes, a financial situation will change for a parent. With our shifting economy, many jobs are lost and new jobs are gained. When a new financial situation happens for a parent, child support may need to modified or changed. There are a couple of things to know about changing child support. At Melanie Cook Law, we can help you understand the process and advise you on the next steps for change. The proposed new child support amount is consistent with the Utah Child Support Guidelines. If any of the above-listed conditions are not met in the Motion to Modify Child Support section, you will need to file a Petition to Modify Child Support. Once you have completed your Motion to Modify Child Support (or Petition to Modify Child Support); you will need to serve the other parent your documentation. There are other documents that are necessary in a child support modification action. You will need the Non-Public Information Forms, an Affidavit about Child Support, an Insurance Premium Worksheet, a Child Care Adjustment Worksheet, a Notice of the Utah Rules of Civil Procedure 26.1 Requirements, a Financial Declaration, and a Proposed Child Support Worksheets). To modify child support, the paperwork and filings are similar to the original court action. At times, the parties can agree to the change in child support and file a Stipulation on child support modification. Other times, the parents do not agree to changing child support, and litigation is necessary. The litigation route does require time and expense. Also, litigation opens up the complete financial situation of both parties. The process is not always simple to navigate on your own. Please call Melanie Cook, a Bountiful child support lawyer who can help you change a current child support order, if your situation has changed. What is a Retainer for a Divorce Attorney? When a client is seeking services from a divorce attorney, the attorney will often ask the client to pay a retainer fee. A retainer is an advance payment to the attorney to begin the case. The divorce lawyer puts the retainer in a special trust account and deducts cost of services from that account, as the costs accrue in the case. If the retainer has been depleted during the course of the divorce case, the attorney will ask the client to replenish the retainer. The client will again advance payment to the attorney to “replenish” the funds. In a divorce action, it is difficult to know how the case will unfold. If both parties desire to resolve the case, the retainer will last longer in the trust account. If the divorce case requires litigation, multiple hearings and a lot of paperwork, the retainer is depleted more quickly. Despite the nature of the case (whether amicable or litigious) a retainer is refundable, if the case is completed and there is money left in the trust account. Can you describe the divorce process in Utah? Divorce is painful. The decision is never easy and there are many family law issues to consider with each case. An experienced divorce attorney will help you navigate the difficult areas in your case. A compassionate divorce attorney will understand your unique circumstances and needs. At Melanie Cook Law, you will have an experienced and compassionate divorce attorney on your side. Once you have made the decision to proceed forward with divorce, gather financial information regarding you and your spouse. We will need documentation regarding both spouses’ income, other financial resources, information regarding real property, investments, retirement accounts, and a listing of all debt. At Melanie Cook Law, we have a client worksheet that will help you organize all of this information. This worksheet is a helpful place to begin the process. Please contact Melanie Cook Law for a divorce client worksheet. In a divorce legal action, the Court requires each party to follow certain rules and procedures. Timing and deadlines are extremely important in a divorce case. There are consequences when a party fails to follow proper court procedure. The party filing the “Petition for Divorce” (or official paperwork) becomes the Petitioner and “serves” (delivers the paperwork to) the other spouse. The other spouse will need to file an “Answer” (which is like a response), and thereby becomes the Respondent in the case. If there are minor children involved in the divorce, Utah requires both parties to attend a divorce education class. The primary focus of this class is to help both parties understand the impact of divorce on the minor children. The class also teaches parties that open communication and co-parenting will prevent emotional harm to the children in a divorce case. If there are contested issues in the divorce, such as property disputes, parent time, child support, alimony, or other issues, the parties must participate in at least one mediation session. Mediation can often solve very emotional issues in a more efficient and less costly manner for both parties. With an effective attorney and negotiator, 90% of the cases can be resolved without the need of trial. However, sometimes the issues are so difficult that only the Judge can resolve the case. At Melanie Cook Law, we can help bring your case to resolution in an effective manner. If the other party is unwilling to resolve the issues, Melanie Cook Law will fight for you in a trial setting. Going to trial is always risky. Trial often results in the Judge making the final decision on child custody and property division. A Judge is a third party making the decision on your case. In mediation, you (the client) have the decision-making power for the result of your case. Often, a mediated divorce agreement is stronger and more tailored to the needs of each individual client. However, not all issues can be resolved in mediation. As such, trial is necessary to resolve the divorce action. Going to trial requires the divorce attorney to understand the rules and deadlines of the court. Preparing for trial is often quite expensive. The following list highlights the basic needs to prepare a case for trial. A Divorce Decree can be changed, modified or even set aside. However, the result you are seeking will depend upon a variety of factors. At Melanie Cook Law, we will discuss every aspect of you case and answer all of your questions. What does it mean to “serve” the other party? Once we meet and discuss the issues of your case, we will draft a formal Petition. You may have a Petition for Divorce, or a Petition for Separate Maintenance, or a Petition for Parentage, or a Grandparents Rights Petition. The type of Petition (or Complaint) will depend on your specific type of case. Once we finish the Petition, the next step is to “serve” the other party with that paperwork. This is usually done by a Sheriff or a private individual (over the age of 18), who is not part of your case. Generally, a Summons will be served with the Petition. Most of the time, the paperwork is served upon the other party in person. Service of the paperwork can take place at a person’s residence or work, or anywhere where the other party is located. Personal service can even take place at the local Walmart, if that is where the other party is shopping at the time of service. This “service” (also called “service of process”) is required by the Court to prove that a party has notice of the Petition and the beginning of a lawsuit. Service of process allows the other party to respond to the Petition against him/her. Once the service of process has been effected upon the other party, the Sheriff or process server will file a “Return of Service” or an “Affidavit of Service” with the Court. The “Return of Service” will indicate the date, time and documents that were served upon the other person.